the RonJon Black Centercap consists of a two piece construction design. 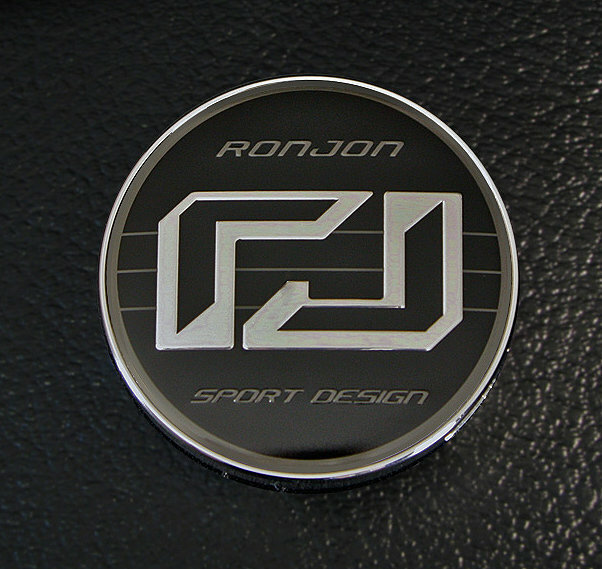 The aluminum emblem has a permanent black background and mirror polished logo with gray design cues. The emblem is coated in urethane doming to protect it from fading in the ultraviolet sun rays. It is adhered to a chrome MVC durable plastic snap in seat with metal spring. Limited availablity.